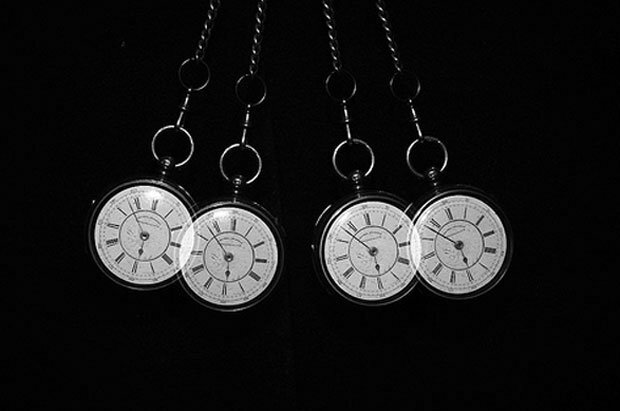 Hypnosis - Debunking the Myths and Setting the Record Straight. When some people think of hypnosis they become concerned that they will be controlled to do what the hypnotherapist tells them to do, but in fact, this is not true. No one can make anyone do anything that they do not want to do. Each person has a part of their mind that tells them what they are comfortable doing and what they are not. Everyone has free will. In fact, when a person is in a hypnotic state they are in a hyper-attentive, conscious yet relaxed state. Clients are free to ignore, give themselves a different suggestion, or explore what is being suggested. The difference between meditation and hypnosis is the latter is directed as one might direct a play. Both meditation and hypnosis help you to become mentally and physically calm, but it is hypnosis that can delete negative programming and replace it with positive programming. When in a state of relaxed hypnosis, the conscious mind steps to the side to observe while the subconscious mind becomes more assessable. It is here in the subconscious mind, where programs are stored that may be sabotaging a person’s life. With access to this part of the mind, positive suggestions for a variety of needs can be given to replace any negative programming. circadian rhythm cycle. You might notice this cycle when you are reading a book or watching a movie, and become focused on one thing tuning out other things in your environment. In this state, you are relaxed and capable of heightened imagination and suggestion. This part of your mind never sleeps; it runs your body, processes and saves emotional information and can be a reservoir of creativity. Hypnosis doesn’t require that you go back into any negative experiences, or trauma, in order to delete and replace stored information. For this reason, hypnosis is very helpful for clients that have experienced any kind of trauma or unpleasant experiences. Hypnosis does not require that the hypnotherapist takes the client back into their trauma. Rather, the hypnotherapist must reframe the memory in a positive way and give the client a positive experience in the present and a suggestion for the future. When you are in this trance or daydream like state everything you are experiencing seems real, as the subconscious mind does not distinguish between real or imagined, true or false, healthy or not. All worries and fears can fade away in this relaxed state leaving the subconscious open to positive suggestion. It is all just programming. The brain is flexible, and therefore, perceptions and thoughts can be changed for the better. Scientists, in particular, cellular biologists, believe that 95% of our beliefs, perceptions, and thoughts are subconscious, leaving our conscious in control of only 5%. In times of stress or situations that trigger memories, the subconscious programs can cancel out the conscious rational intentions. This can lead to a power struggle between what is consciously known and intended and what is being reacted to based on subconscious programming. Your subconscious mind is often running the show, so it is better if the program it’s running supports a healthy and rational intention. Hypnosis is highly effective for habit control, behavioral changes, weight loss, weight management, addictions, Post Traumatic Stress Disorder (PTSD), childbirth, chemotherapy, and illnesses. Hypnosis is also helpful for balancing the mind and emotions, enhancing relationships, as well very useful for the setting of goals and releasing negative programming that is sabotaging present and future success and happiness. Hypnosis can also help you enhance your performance and give you a competitive edge in sports, business, career, and education. Competition in any given field of work can be fierce, but hypnosis can quickly and effectively help you gain a competitive edge. Athletes have long known the power of hypnosis, and its effectiveness is now also being recognized in business. Hypnosis can transform you into the person you want to be. It can be used to cleanse your mind of negative thinking patterns, low self-esteem, self-limiting beliefs, high anxiety, high stress, and low confidence. Hypnosis can even help you to gain specific abilities that will help you advance in your career, or even start a new business. Aside from having the right kind of training and skills, there are other obstacles – internal ones — that keep many from doing what they love. These obstacles can include shyness, lack of confidence, low ambition, fear of rejection, low energy, lack of concentration, fear of public speaking, and lack of sales skills. Most often these obstacles have to do with a feeling or impression as a mental image people have of themselves. Hypnosis is especially effective at changing these types of thought patterns, eliminating the interference with career advancement. Hypnosis addresses negative feelings, fears and suppressed preconceived ideas and replaces them with positive ones – essentially the script of who you want to be. 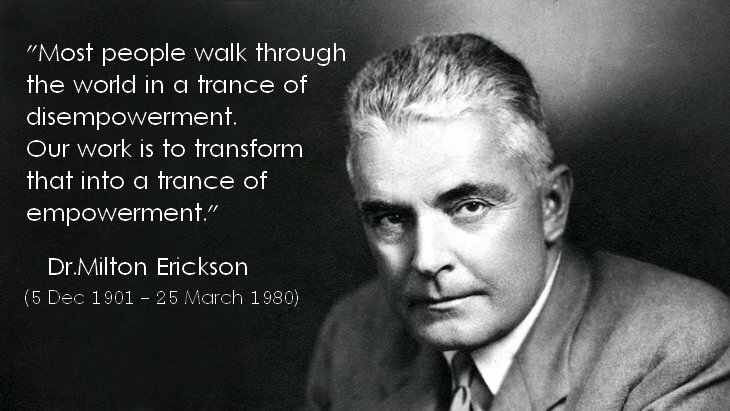 To have a rapid and permanent transformation there must be a true desire for change. If that is present, hypnosis can help you eliminate your subconscious blocks, create new thought patterns, and balance your conscious and subconscious mind. Essentially, hypnosis can help you gain power over your own mind so that it can be a tool to your advantage, rather than an obstacle. Center yourself in less than 20 seconds, enabling focus on the task at hand. Enhance time-management skills and increase productivity. Turn fear into motivation the way competitive athletes do. Reduce procrastination and become proactive. 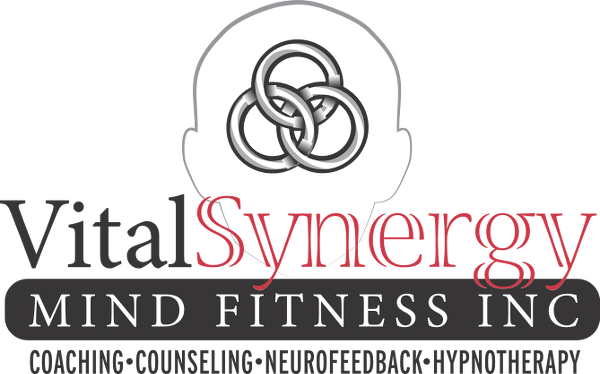 Vital Synergy Mind Fitness Inc.